This month we have a MarketWatch focusing on all things coin related in the Vintage universe. 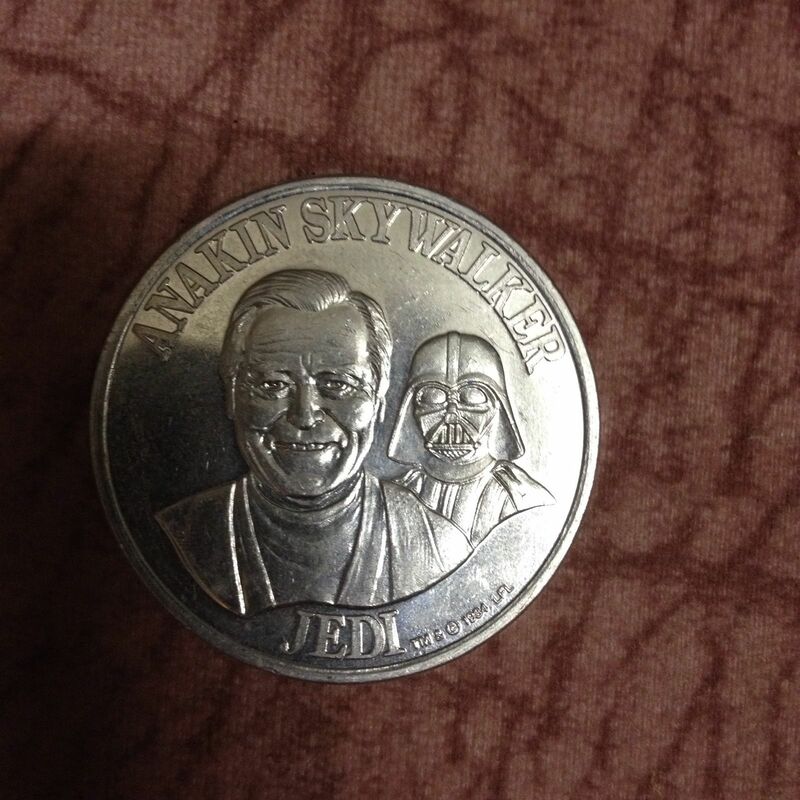 This summer saw some extremely high-highs for coin collectors in the market on the same wave that all things vintage Star Wars were experiencing. In typical fashion we have a heavy focus on the rarer and higher priced items in the series. Rarity in many cases is relative to demand, and in the case of this month's items we see that even Category II coins are no longer seen as mere commodities in the hobby, but rather items that are commanding high dollar amounts. 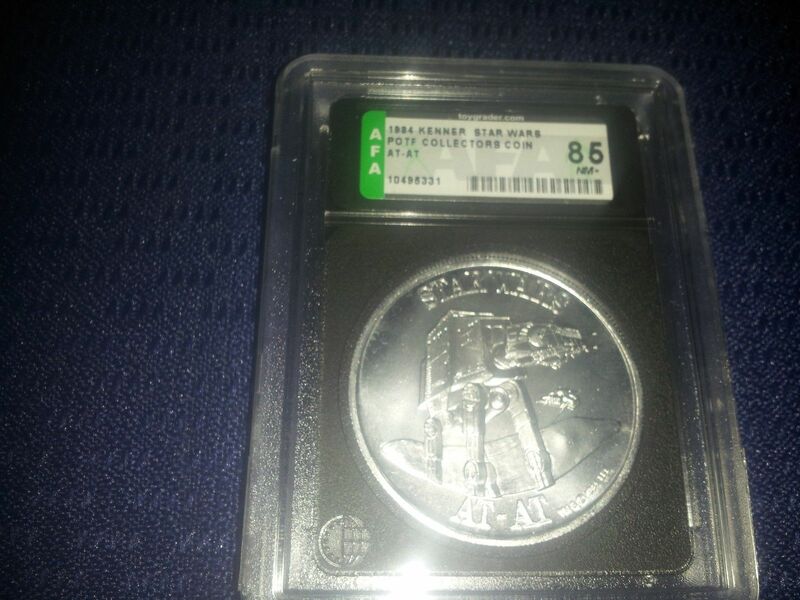 For collectors unfamiliar or needing a refresher on the coin categories, be sure to check out the Comprehensive Guide to POTF, Droids, and Ewoks Coins right here on the SWCA. With that out of the way, let’s get to the coverage and see where people decided to blow their dollars! The most common of the coins, these two categories are also the most easily defined. Category I coins are simply defined as those featuring the "Last 17" characters from the original figure line while Category II coins represent all other figures that were released on POTF cardbacks. The two series have a lot of variation in price but for the most part they top out at $30 a piece, with most Category I coins getting around $10 a piece on eBay. Regardless, people are paying top dollar for the two rarest ones: Anakin Skywalker and Yak Face. The two get a lot of attention given that they were attached to rare MOC figures in the POTF line and in turn they demand a lot more than $10 a piece. The Category III coins have a unique place in the hierarchy of POTF coins. They are the smallest segment in terms of item count and are also the start of the mail-away only coins. 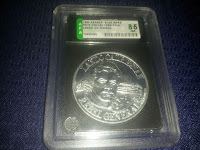 Typically ranging from $75-$200 in price, they are the most attainable of the mail-away only coins. For this category we only have the Han Solo Hoth coin to review. However, some of the others like the TIE Fighter Pilot and Luke Skywalker (Farmboy) come up almost monthly, so if you’re looking for something that wasn’t released in stores and don’t want to drop a boatload they’re a safe bet. The Category IV coins are where we really start to see rarity come into play. Most command a price of $100 or more and most only come on eBay 3-4 times a year. Personally, this is where collecting the coin line gets really interesting. First you have multi character coins like the "Droids" or "Creatures" coins, then you have vehicle coins and a grouping of single character coins. It has a lot of variety and a lot of people who don’t specifically collect coins will end up getting a Category IV for a focus collection or just because there are several that are unique in comparison to most of the series. This month I was able to find 5 examples with several that went for extremely frugal prices. Unlike the Category Vs, these coins can still be affordable and that adds to the luster of this category specifically. 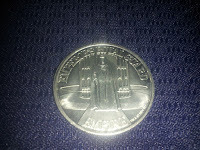 The Category V coins are the most difficult to acquire, in many cases demanding higher prices than many of the prototype coins. Most command a price of over $1,000 a piece (with a few exceptions). The prices of this segment have appreciated faster than others due to the plain fact that these are the last coins for many who are putting together a full run. 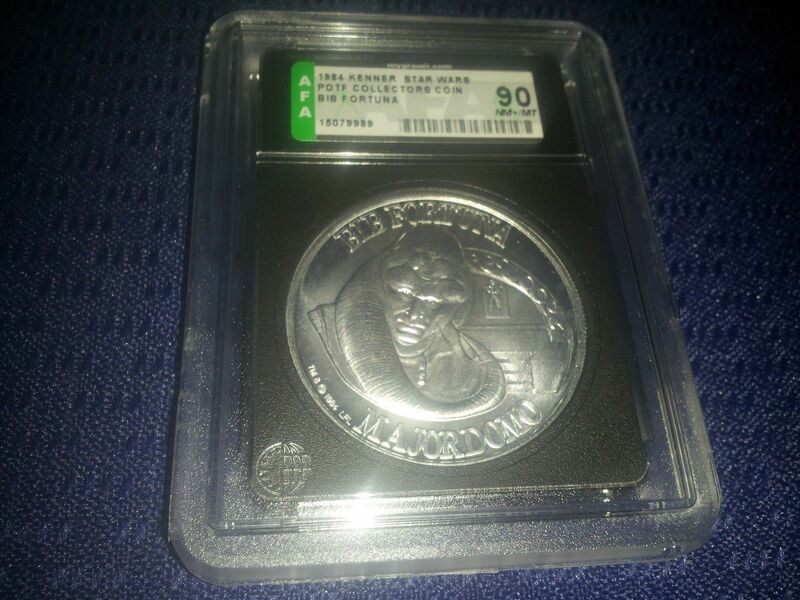 Below we have a few graded examples and a non-graded Leia Boushh that commanded a price of $1,600 -- this along with Tatooine Skiff, Greedo, Zuckuss, and Luke Hoth are typically the most difficult coins to find in the series. 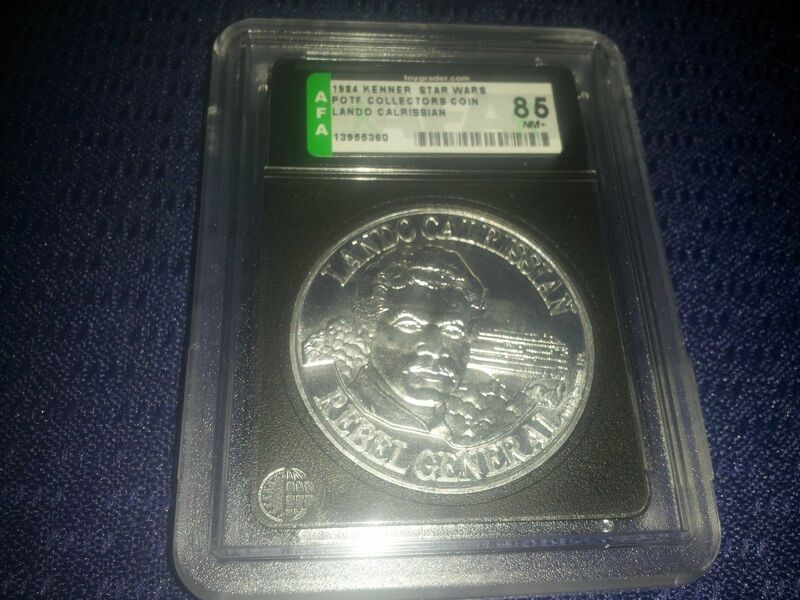 Prototype coins are a unique niche in the hobby. Unlike most prototypes that are very sought after, this segment has a more focused demand among collectors. There are several reasons one could factor into this, though a big factor seems to be a lack of interest tied to a lot of fakes. Below we have one coin in question that could fall into that category (I’ll leave it to the readers to do their own research on the A-Wing Pilot coin). However, there are always some exceptions to the rule. 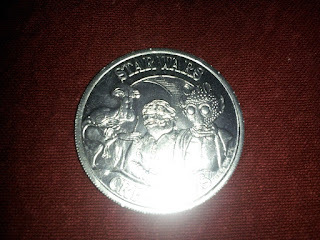 This month we have a Vlix coin that is a must for many Droids collectors and typically commands right around the $1,000 mark. The one nice thing about prototype coins and their low demand is the low cost of entry into to collecting a single item or handful as can be displayed by the Kez Iban coin we see below. One thing that holds true with the prototype coins and really anything from the vintage line is that variants drive demand and price. Below we have what appears to be the typical small format prototype for the Luke X-Wing coin -- but with a small difference -- this is a variant with a different back than most of the Luke X-Wing coins. This particular coin was overlooked by many collectors as being the typical small format coin however this was a varaint and the example saw the highest price for any vintage POTF coin in the past month, quite a feat for something so small. That wraps up this month of coverage on the market. Keep checking back on the www.theswca.com for more updates and the next installment of the 'Chive Cast. Thanks for the rundown as always Pete. 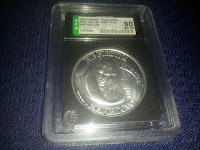 This service to the coin collector case community is happily provided.